Hong Kong is geographically compact and boasts one of the world's most efficient, safe, affordable and frequent public transport systems. Whether by taxi, ferry, rail, bus or tram, you can get around easily and catch wonderful glimpses of the city along the way. Make use of the Octopus Card, an electronic fare card that is accepted by almost all forms of public transport, and at many fast food chains and stores. It's easy and convenient to use, save time and eliminates the need for small change. Add money to it whenever you need to, and any unspent value in On-Loan Octopus is refundable along with the HK$50 deposit (minus HK$7 handling fee for cards returned within three months). You can also opt for a non-returnable Sold Octopus. The MTR rail system that covers all major districts in the territory, and includes stops at the boundary with Mainland China (Lo Wu and Lok Ma Chau). The MTR consists of ten lines: Island, Tsuen Wan, Kwun Tong, Tseung Kwan O, Tung Chung, West Rail, East Rail, Ma On Shan and Disneyland Resort, as well as an Airport Express. In addition, The MTR operates a Light Rail system running between Yuen Long and Tuen Mun in the New Territories, plus an inter-city train service into Mainland China. 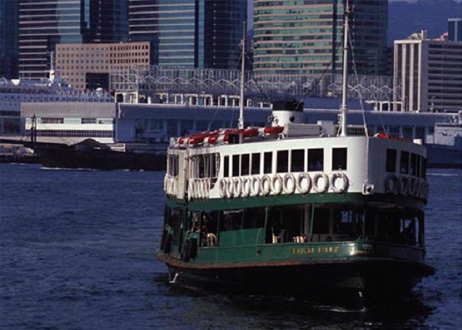 With Its coastal location and many outlying islands, Hong Kong operates regular ferry routes connecting Hong Kong Island, Kowloon and the Outlying Islands, as well as Macau and neighboring cities in Mainland China. Buses in Hong Kong are plentiful and comfortable, and most are air-conditioned. Especially popular are the double-deckers that offer great views of the surrounding city. These double-decker streetcars have been traveling through Hong Kong's busiest thoroughfares since 1904 and continue to be a great way to get around. Fixed Fare just hope on and off.